I need a design logo for a guitar class that I am teaching. The completed logo will be lasered into a guitar headstock. Completed size not to exceed 2-inches in diameter. 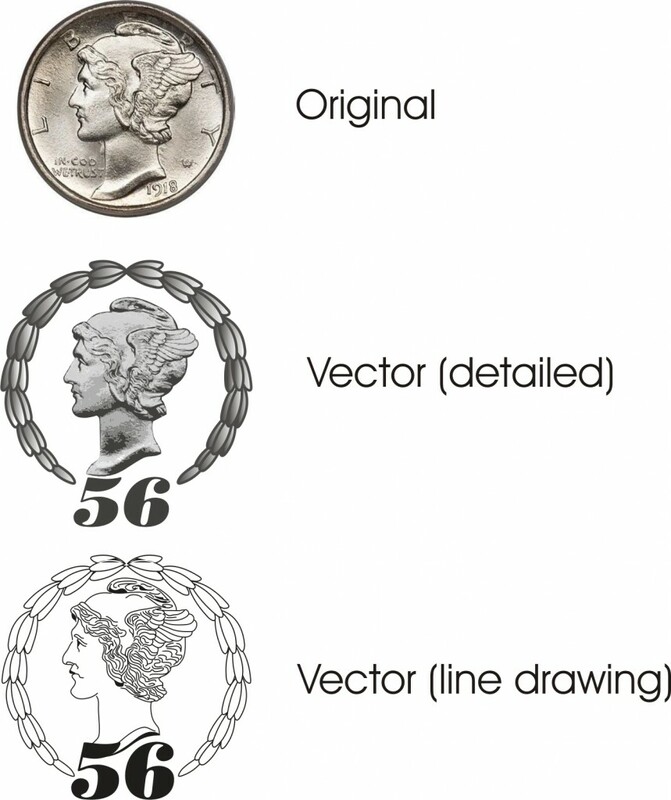 I want the “head only” of the Mercury Head dime inside of a “wreath-like” border (which takes the place of the circle) which is open at the bottom to allow for a “vintage-like” font that reads’56 (like 1956 but without the 19). The ’56 would be bold in its look, a bit large and slanted a bit. I am wanting the photo like look to the Mercury head when it is lasered. 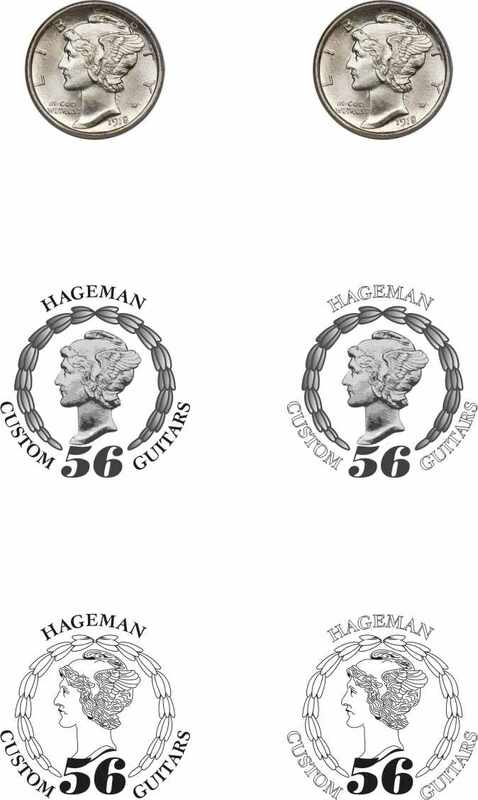 This logo design will be a point of emphasis on the guitar and should look “clean”. The customer later requested additional work done as seen below. They requested for the font to have a “50’s vibe” and to have the line art version for laser engraving.